10 photos £400 pppcm Simonside Terrace Heaton 9 bedrooms | Available Now view details > Book Viewing > Fully refurbished 9 bed house in an excellent location just off Chillingham Road close to all local amenities including shops, bars and restaurants. Spacious lounge including Plasma TV, large modern kitchen/diner & double bedrooms. Fully refurbished 9 bed house in an excellent location just off Chillingham Road close to all local amenities including shops, bars and restaurants. Spacious lounge including Plasma TV, large modern kitchen/diner & double bedrooms. 6 photos £350 P.C.M King John Street Heaton 5 bedrooms | Available Now view details > Book Viewing > ALL UTILITY BILLS INCLUDED IN THE RENT! Double bedrooms available in student house share. The property is situated in excellent location close to all local amenities and transport links. Briefly comprising of communal lounge, fitted kitchen & 2 bathrooms. ALL UTILITY BILLS INCLUDED IN THE RENT! 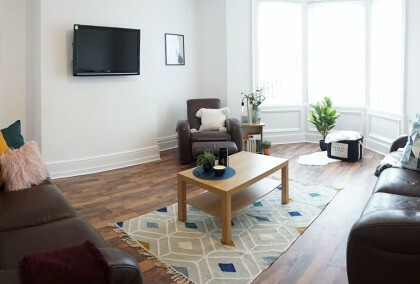 Double bedrooms available in student house share. The property is situated in excellent location close to all local amenities and transport links. Briefly comprising of communal lounge, fitted kitchen & 2 bathrooms. 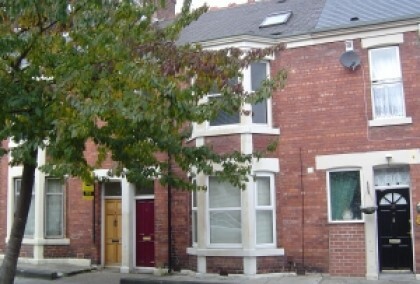 7 photos £350pppcm House Share Warwick Street Heaton 5 bedrooms | Available Now view details > Book Viewing > Five bedroom maisonette situated at the bottom of Warwick Street in an excellent location for easy access to City Centre and Universities either on foot or via transport links. The property comprises of 5 double bedrooms and a small study room/drying room with two bathrooms including showers over baths, spacious lounge and equipped kitchen. Utility bills included in the rent! 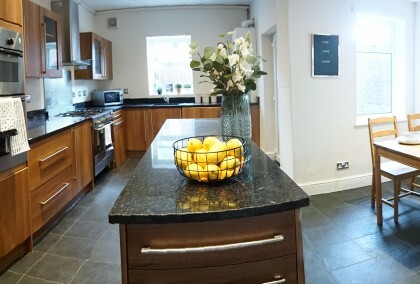 Five bedroom maisonette situated at the bottom of Warwick Street in an excellent location for easy access to City Centre and Universities either on foot or via transport links. The property comprises of 5 double bedrooms and a small study room/drying room with two bathrooms including showers over baths, spacious lounge and equipped kitchen. Utility bills included in the rent! 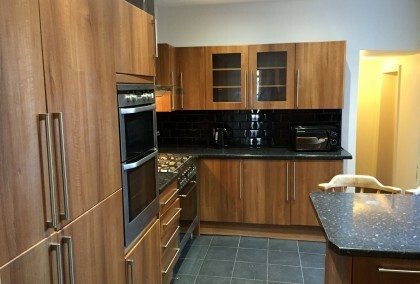 11 photos 80 pppw / £350pppcm House Share Westwood Avenue Heaton 8 bedrooms | Available Now view details > Book Viewing > FANTASTIC NEWLY REFURBISHED HOUSE!!! Modern 8 bedroom house situated close to Chillingham Road and all local amenities including shops, bars, restaurants & transport links with easy access to City Centre and Universities. The property is beautifully presented with spacious lounge with Plasma TV, very modern fitted kitchen with granite worktops and dining area. There are 2 built in large fridge freezers, range cooker,dishwasher & washer/dryer & heating from a combi boiler. 3 newly fitted bathrooms with showers including a walk in shower. This house also has 8 good sized bedrooms with IKEA furniture & dbl beds. Early viewing is essential to fully appreciate this property but be quick as this will go FAST! Utility bills included in rent!! FANTASTIC NEWLY REFURBISHED HOUSE!!! Modern 8 bedroom house situated close to Chillingham Road and all local amenities including shops, bars, restaurants & transport links with easy access to City Centre and Universities. The property is beautifully presented with spacious lounge with Plasma TV, very modern fitted kitchen with granite worktops and dining area. There are 2 built in large fridge freezers, range cooker,dishwasher & washer/dryer & heating from a combi boiler. 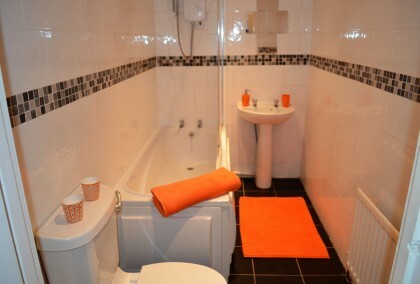 3 newly fitted bathrooms with showers including a walk in shower. This house also has 8 good sized bedrooms with IKEA furniture & dbl beds. Early viewing is essential to fully appreciate this property but be quick as this will go FAST! Utility bills included in rent!! 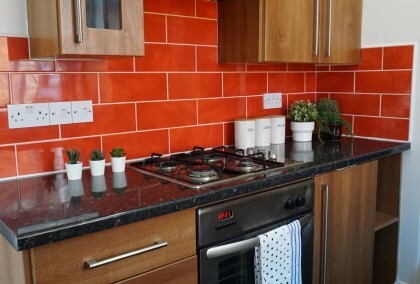 6 photos £350pppcm House Share Simonside Terrace Heaton 4 bedrooms | Available Now view details > Book Viewing > Modern 4 bed maisonette in an excellent location close to local amenities of Chillingham Road including Tesco, Boots and metro station. comprising of 4 double bedrooms with oak furniture, fitted kitchen with modern appliances, lounge and bathroom with white suite and shower over bath. All utility bills included in rent! Modern 4 bed maisonette in an excellent location close to local amenities of Chillingham Road including Tesco, Boots and metro station. comprising of 4 double bedrooms with oak furniture, fitted kitchen with modern appliances, lounge and bathroom with white suite and shower over bath. All utility bills included in rent! 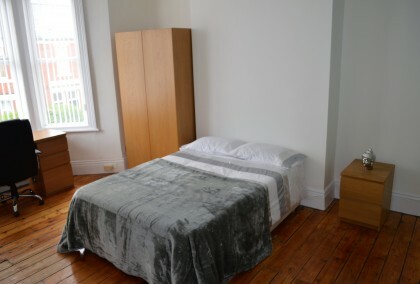 11 photos £350pppcm House Share Heaton Park Road Heaton 6 bedrooms | Available Now view details > Book Viewing > Newly decorated fully furnished large 6 bedroom house situated in an ideal location close to amenities including Morrisons Supermarket. 10 – 15min walk to City Centre and Universities and is also on the number 1 bus route. Large lounge with LED Tv Leather sofas, Modern kitchen with breakfast bar , appliances include Range Oven, 2 x built in fridge freezers, dish washer . Utility room leading off also includes 2 x washer dryers. Their is one Bathroom with shower and a separate Shower Room. Separate downstairs WC , Spare room for Bicycles and a Private Yard. All Bedrooms are double size and are complete with oak furniture. Ideal for student or professionals looking for a large house close to City Centre and Universities. All utility bills included in rent! Newly decorated fully furnished large 6 bedroom house situated in an ideal location close to amenities including Morrisons Supermarket. 10 – 15min walk to City Centre and Universities and is also on the number 1 bus route. Large lounge with LED Tv Leather sofas, Modern kitchen with breakfast bar , appliances include Range Oven, 2 x built in fridge freezers, dish washer . Utility room leading off also includes 2 x washer dryers. Their is one Bathroom with shower and a separate Shower Room. Separate downstairs WC , Spare room for Bicycles and a Private Yard. All Bedrooms are double size and are complete with oak furniture. Ideal for student or professionals looking for a large house close to City Centre and Universities. All utility bills included in rent! 7 photos £80 pppw / £350 pppcm 6 Sefton Avenue House Share Heaton 6 bedrooms | Available Now view details > Book Viewing > Modern, 6 bedroom house in excellent location just off Chillingham Road close to all local amenities including Tesco, Boots and the metro station. Within easy reach of City Centre. 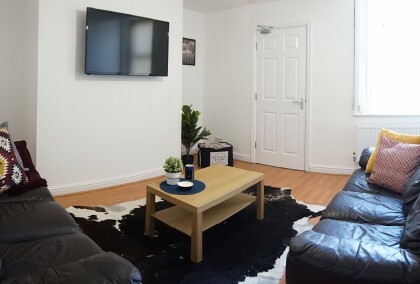 The property is decorated and furnished to a high standard and comprises of spacious lounge with Plasma TV, leather sofa & modern fitted kitchen/dining room with range cooker, tower oven, dishwasher & washing machine. Double bedrooms come with IKEA oak furniture, bathroom and shower room with large power showers. Early viewing highly recommended! Modern, 6 bedroom house in excellent location just off Chillingham Road close to all local amenities including Tesco, Boots and the metro station. Within easy reach of City Centre. The property is decorated and furnished to a high standard and comprises of spacious lounge with Plasma TV, leather sofa & modern fitted kitchen/dining room with range cooker, tower oven, dishwasher & washing machine. Double bedrooms come with IKEA oak furniture, bathroom and shower room with large power showers. Early viewing highly recommended! 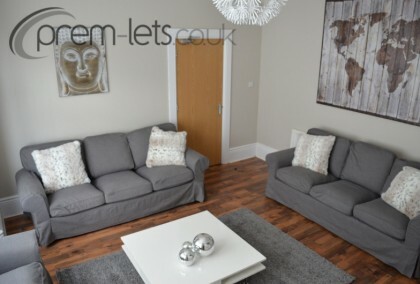 3 photos £68 pppw / £294.66 pppcm Simonside Terrace Heaton 5 bedrooms | Available Now view details > Book Viewing > ALL UTILITY BILLS INCLUDED IN MONTHLY RENT! !The property is situated close to local amenities of Chillingham Road and on the number 1 bus route with easy access to City Centre. ALL UTILITY BILLS INCLUDED IN MONTHLY RENT! !The property is situated close to local amenities of Chillingham Road and on the number 1 bus route with easy access to City Centre. 9 photos £60 pppw / £260 pppcm Simonside Terrace Heaton 5 bedrooms | Available Now view details > Book Viewing > FREE ADMIN & LOW DEPOSIT!! UTILITY BILLS INCLUDED!- PROFESSIONAL HOUSE SHARE!! Five bed maisonette situated just off Chillingham Road with easy access to City Centre and also benefits from all local amenities and transport links. FREE ADMIN & LOW DEPOSIT!! UTILITY BILLS INCLUDED!- PROFESSIONAL HOUSE SHARE!! Five bed maisonette situated just off Chillingham Road with easy access to City Centre and also benefits from all local amenities and transport links.